This DIY pina colada scrub is super easy to make and can be used on both the face and the body! Silky smooth skin with a hint of the tropics is just minutes away! No matter where you are in the world, you can be instantly transported to the sunny coastline of the Caribbean with this DIY pina colada scrub. Imagine palm trees swaying in the warm breeze and your feet dipped in the crystal blue waters as you indulge your skin with this easy recipe containing things you probably have in your kitchen already! Pineapple juice is loaded with vitamin C and antioxidants that make our skin so happy. Applied topically, pineapple juice can help reverse damage caused by sun exposure and free radicals while hydrating, treating acne, and reducing fine lines. Found in the stem and meat of pineapple is bromelain, an enzyme that helps to firm the skin and improve skin’s elasticity by dissolving dead collagen and forming new, healthy collagen thus preventing wrinkles. Bananas are full of skin-loving vitamins and minerals like potassium and vitamins A, C and E all of which aid in moisturizing, repairing damaged skin, fighting the effects of aging and leaving skin healthy and glowing. Sugar is a great exfoliator and can help diminish dead skin cells leaving the skin soft and fresh. When using sugar on the face, it is best to use brown over white as it is smaller and gentler. If making a body-only scrub, white sugar is fine to use. Coconut oil is of course the superstar for moisture and with its antibacterial and antifungal properties helps to ward off any impurities on the skin. Combine all ingredients in a blender and blend until the mixture is no longer clumpy but a smooth, creamy texture. 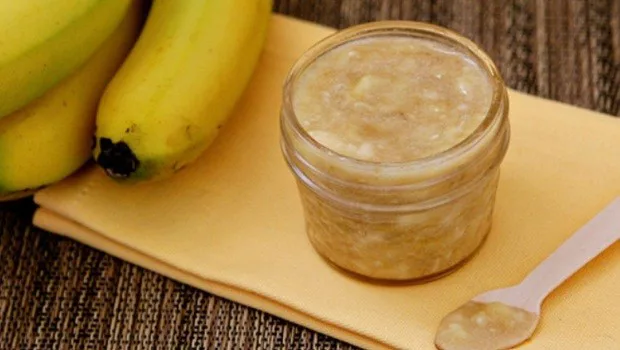 If you’re making the scrub by hand, first mash the banana with a fork then add in the remaining ingredients and stir until well blended and a smooth texture. After washing the face and body and while the skin is still wet, apply the pina colada scrub and gently massage. Allow the scrub to sit for a few minutes before rinsing with warm to cool water. Use once or twice a week. Because this recipe uses all natural ingredients and there are no preservatives, it will not keep well. The scrub can be kept in the fridge for a day or two, but no more than that. Try to make a small batch at a time – this way it’s always guaranteed to be fresh!